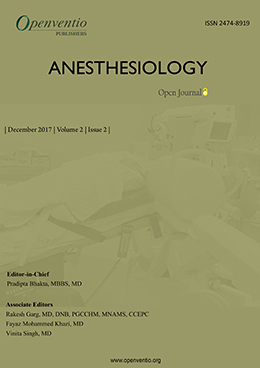 Hemostasis Management during Adult Extracorporeal Membrane Oxygenation: A Shot in the Dark? 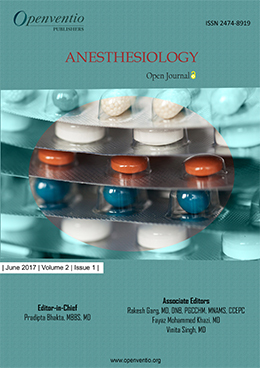 Anesthesiology – Open Journal (AOJ) aims to discuss all the topics related to pain relief and its memory of a patient, from a surgery. Generally, anaesthesia is of two types: local anaesthesia, which is body part specific and general anaesthesia, which is an instant sedation through an Intravenous line (IV), where a thin plastic tube inserted into the vein, a face mask , through the nose or throat of the patient. The drugs used in this process are called ‘Anaesthetics’. 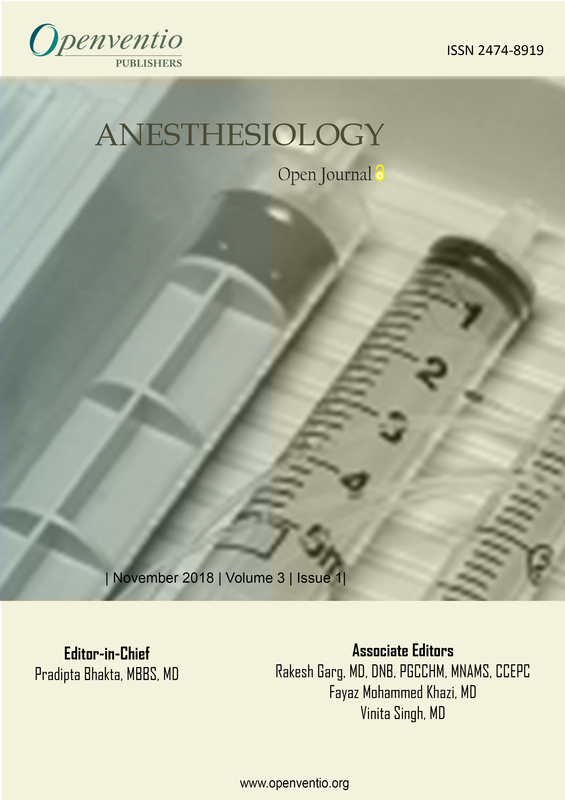 Openventio aims at the widespread propagation of all the detailed matters related to anesthesiology open journal and to bring information from all the authors and diverse sources in a uniform way through our well-designed open access portal. 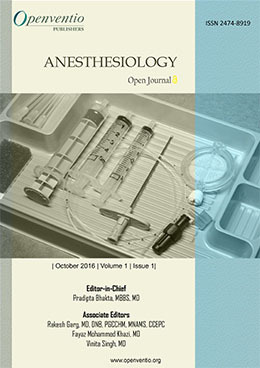 Anesthesiology – Open Journal (AOJ) is dedicated to the open dissemination and robust discussion in the area of anesthesiology and its related fields. Submissions for this journal are accepted from the very basic aesthetic research to the latest research advancements. 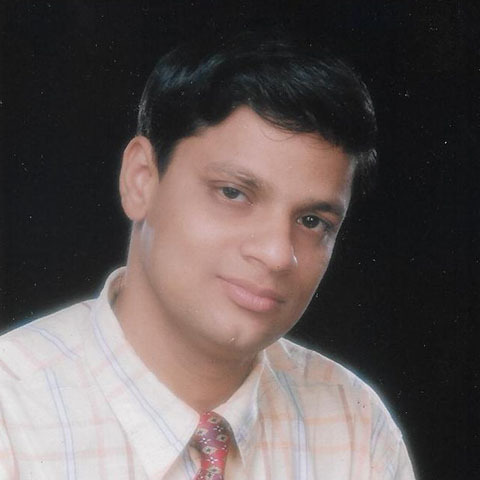 The contributors of AOJ include surgeons, physicians, pharmacists, registered nurses, adjunct healthcare professionals, clinicians, physiotherapists, housekeepers, occupational therapists, complementary therapists, volunteers, investigators, practitioners, social workers, nursing assistants, educators, practicing anaesthesia providers, students of various universities and general communities from different parts of the world. 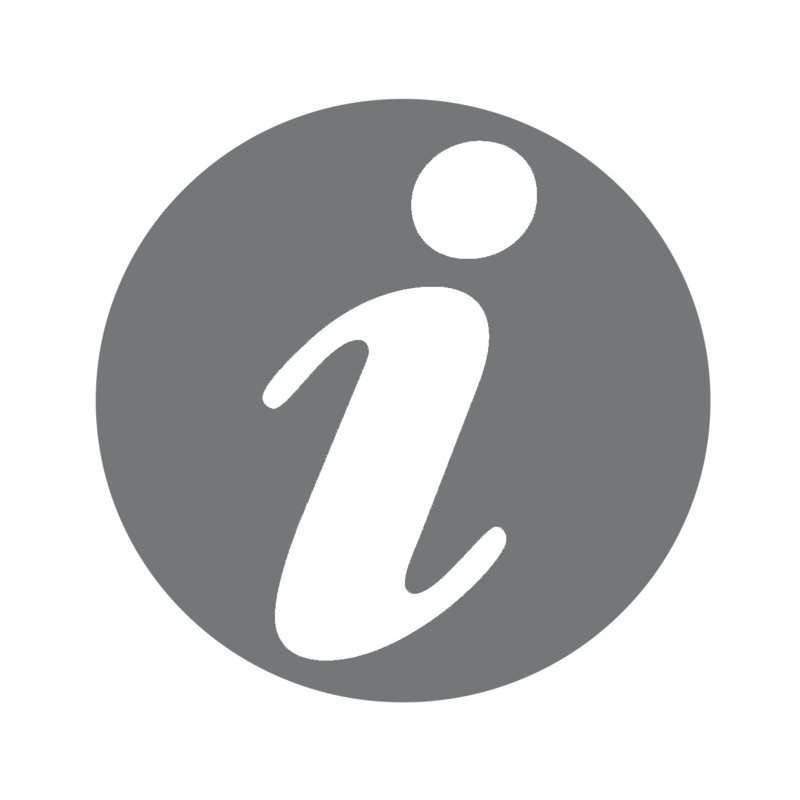 We are open to receive comments or any corrections from subject experts and our audiences to improve the quality of our journal.